As one of the world's leading providers of automated and portable 3D measurement solutions, Creaform is shining the spotlight on automated quality control at this year's HANNOVER MESSE - a field that is becoming increasingly important in the manufacturing industry and Industry 4.0. 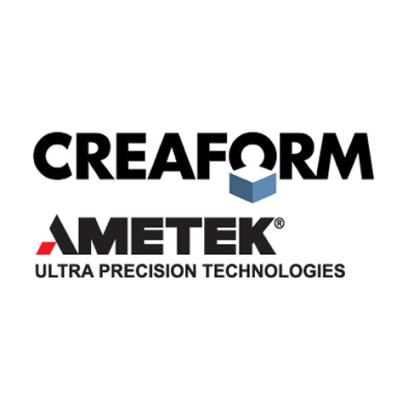 The specialists at Creaform, a division of Ametek GmbH, are fully aware that industry is moving toward automated quality assurance. After all, it is now more vital than ever to be able to carry out dimensional checks within the production cycle using automated measuring technology solutions next to or on the production line. In Industry 4.0 - where the entire manufacturing process is connected, integrated and automated - 3D scanning is better than tactile measurement at inspecting parts as they're manufactured. This is because 3D scanners can capture a lot of data very quickly, which is essential to the 4.0 manufacturing process. At HANNOVER MESSE 2019, Creaform is showcasing the MetraSCAN 3D-R - a robot-assisted measurement solution that can be seamlessly integrated into production automation processes. In the case of complex surfaces, a 3D scanner mounted on the robot performs fast and high-precision automatic inspections. The automated measuring system is available as a turnkey or bespoke solution and can be installed directly into the production line. Through its new portable 3D scanners - HandySCAN 3D and MetraSCAN 3D - Creaform aims to make the scanning of complex geometries and quality control easily accessible to everyone. Indeed, they can be used wherever a component needs to be measured. The devices are even designed to deliver fast, reliable and accurate results in inconsistent working environments - like those found in production. Now that the range of accuracy in 3D scanning exceeds the threshold required for quality control, all the benefits of this technology - such as its speed, ease of use and portability - can be fully harnessed to improve product quality and the work of quality control experts.